Current: Gawler Business Development Group - Vote Now for the Gawler Business you think deserves to be recognised! 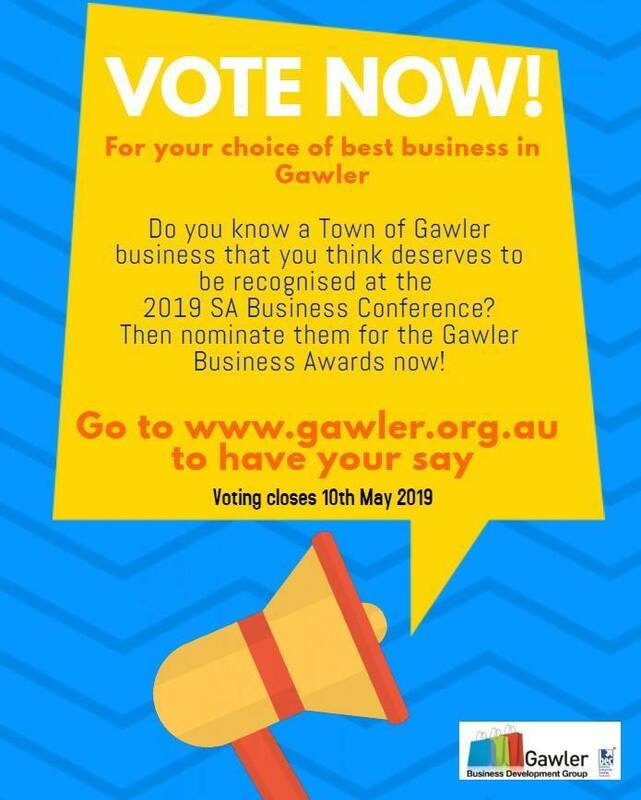 Do you know a Town of Gawler business that you think deserves to be recognised at the 2019 SA Business Conference? Nominate them for a Gawler Business Award now...!